MCEC Year in Review Documents - These documents are for information only, they are not required for discernment at the Annual Church Gathering. Legacy Initiatives Fund Project Highlights - Read here about four initiatives who have benefitted from the LiF. Minister Introductions - Meet the pastors who have moved into a new placement or have been ordained/licensed over the past year. 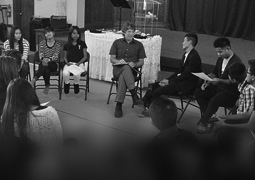 Hear how they work at deepening their relationship with God. New MCEC Volunteers - Slate Introductions - Meet the new volunteers on this year's slate. MCEC Volunteers 2018-19 - A listing of volunteers. We are so grateful. 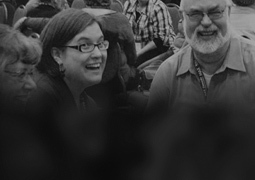 Mennonite Church Canada - Our Nationwide Community of Faith - These documents are for information only, they are not required for discernment at the Annual Church Gathering. W-K: 70 Over 70 and Doing Okay! Bible Quizzing, Bowling and Disco? "It's Time to Become Mennonite." Anabaptist Learning Workshop - A New Venture!